Lightweight and portable, this pad is ideal for three season. extended backpacking trips. The Sea to Summit UltraLight utilizes the company's new Air Sprung Cell design and is a great choice for warm weather trips. This pad is super lightweight and packs down to the size of a couple pop cans. When comparing full sized pads, this one is the most compressible and the second lightest of any that we've tested. The unique air valve was the best of any sleeping pad we've seen allowing for easy inflation and instant deflation. If you want an inflatable pad for ultralight backpacking, this is an excellent pick and narrowly ceded our Top Pick for Ultralight award to the Therm-a-Rest NeoAir XLite pad because the XLite is much warmer and a tad lighter. The UltraLight is an excellent pad for summer backpacking or any instance where you want a comfortable pad without sacrificing weight or pack space. It is also a super great value because it retails for just $100 making it a full $30 less expensive than the higher scoring XLite. The UltraLight has many of the same features as the Sea to Summit Comfort Light Insulated, which weighs 8 ounces more, costs $70 more, but is much warmer. This pad now comes with an Air Stream Dry Sack Pump, which acts a stuff sack, a pump, and a dry sack! With a few quick puffs of air into the sack, you can inflate this pad without getting dizzy. See how it works in this instructional video. For only $100, this pad packs some serious punch. The Sea to Summit UltraLight is super lightweight and packs down small enough that you'll forget you even brought it. It offers an unparalleled value for warm weather backpackers driven to shave every last ounce off their base weight. We carried more pads than we needed into the backcountry so that we could test them side by side. Here you can see the yellow UltraLight in the foreground. Fully inflated, the Sea to Summit UltraLight is about two inches thick, which is similar in dimension and size to its big brother (the Sea to Summit Comfort Insulated). Sea to Summit went back to the drawing board and came up with a very unique design for these pads. Most other air construction sleeping pads use either horizontal or vertical baffles. Vertical baffles often yield a bouncing sensation when you move your feet, and horizontal baffles tend to have weak edges that collapse easily. These Sea to Summit pads use dot welds to create individual pockets that successfully deal with both the issues of bounciness and weak edges. The UltraLight feels very supportive throughout the entire construction. A small downside to this design is that the dots tend to collect dirt. One sweet feature worth noting is that this pad was faster to inflate than other air construction pads in the review. A benefit of the dot welds is that they take up internal volume, leaving less pad to be inflated; 15 to 19 breaths inflate this pad to a nice firm level. The one-way valve was much easier to use than the twist valves found on all other pads. Accidentally over inflate the pad? No problem! Just press on the middle of the valve to release air and deflate the pad to your preferred level. This was our favorite valve of any pad we tested. While the fancy valve and dot welded construction have their benefits, this wasn't the most comfortable pad were reviewed for the following reasons. First, many testers complained that the pad was "too thin." When camping on rocky surfaces or on pine cones, you'll need to inflate this pad all the way to defend against the lumps. Second, the dot welding may have helped the pad feel more stable, but many testers found it to be too bumpy. Our testers continually agreed that models with flatter surfaces, such as the Therm-a-Rest XLite were more comfortable. Third, many of our testers and their tent mates complained that this pad was noisy. While some other pads like the XLite sound "crinkly," the UltraLight squeaks nearly every time you adjust positions. In the end, we gave this pad a comfort score of 6/10. The Sea to Summit pads have a dot welded construction that makes hundreds of "AirSprung" Cells. This was more supportive than horizontal baffle designs (see the XLite top right) but didn't feel as smooth. At just 12.5 oz for the Regular, this was one of the lightest pads in this updated review, next to the Therm-a-Rest XLight that costs $30 more. If you're looking for a lightweight summer pad that'll add quite a bit more comfort than a foam pad and don't want to break the bank, the UltraLight rocks. When we slept on the pad for the first time, we were surprised how comfortable it was given its low weight and small packed size. One great thing about the low weight is that you can buy this pad for your ultralight setup, then add in a foam pad like the Therm-a-Rest Z Lite Sol on top for a total weight of just 26 oz. This set-up would be super comfortable, relatively warm, and ultra versatile. The small version of this pad is 66 inches long and weighs 11.5 ounces. When deflated, the ultralight is extremely supple. You can stuff this in with your sleeping bag easily. Use this pad in warm summer locations because when it comes to warmth, the UltraLight's scores are deflated. Without any insulation and an R-value of just 0.7, this pad is suited to summer use only. It feels the coldest of any pad in the review - simply put, if the ground is cold, you'll be cold. That said, the low warmth is the price you pay for an ultralight pad with this design. If you like sleeping in colder climates or are a cold sleeper in general, you can always add a foam pad on top. If this pad was a little warmer, it would have been a top contender against the Therm-a-Rest NeoAir XLite, which won our Top Pick Award for Ultralight trips. Sea to Summit makes an insulated version of the UltraLight that weighs about 3 ounces more and costs $130. Turn that grass into a plush cloud! This pad works really well when sleeping on even surfaces. It doesn't cover rocks as well as some other pads. But for the weight and packed size it's still pretty impressive. This pad packs down ridiculously small and will disappear in any backpack. Because it is made with ultra supple material, some of our testers stuffed this pad into their sleeping bag compression sacks, further reducing the volume. When packed, this pad is smaller than a liter. The Sea to Summit UltraLight packs down quite a bit smaller than most other products in the review. If you want the smallest pad possible and don't need extra warmth, consider this one. While it may only be made with 40 denier ripstop nylon, we didn't have any issues with this pad throughout the extent of our testing. We used this pad inside tents and as a floating raft on several lazy rivers near a couple of our campsites. We were not particularly gentle with any of the pads in this review including this one. With proper care, we expect that this pad will last quite a while. Should you run into any issues, a small patch kit is included. Love long distance summer backpacking? This pad has the weight point and small packed size you're looking for without an exorbitant price tag. It is especially suited to warm climates where warmth is the enemy. For just $100, this pad falls high on the value chart. When you buy the Sea to Summit Ultralight, you'll drop weight without dropping a lot of dough. It is $30 cheaper than the higher scoring and Top Pick for Ultralight winning Therm-a-Rest XLite. When choosing between the two, consider your warmth needs first. The Sea to Summit UltraLight is an excellent lightweight sleeping pad for those wanting a pad that is comfortable, supportive, and packs down really well. We found the dot welded baffle design quite interesting, but preferred pads with a flatter surface. That said, this pad takes a minimum number of breaths to inflate which was an important consideration for some of our testers. With an R-value that is less than one, if you are a cold sleeper you may want to consider buying the Sea to Summit Comfort Light Insulated that is six times warmer and only 8 ounces heavier. Alternatively, you could add a foam pad on top for warmth in the shoulder seasons. We used the UltraLight as much as possible during our two months of testing. It is lightweight, packs small, and is pretty comfortable. We just wish it was a little warmer. Backcountry $74.96 - 25% off! 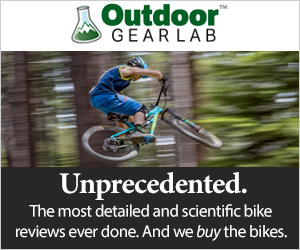 REI $89.93 - 10% off! MooseJaw $89.95 - 10% off!